Congratulations to the Jacksonville Youth Rugby- Wolverines! The U-19 boys took down the number one seed, Tampa, 28-19. The Wolverines will play in the regional final this Saturday, March 24th in Orlando, versus Orlando! At stake is a spot in the Florida State semi final, which will be held on April 7th. Ashley Hellett is a high school teacher, avid soccer and rugby fan, and an advocate for children with cancer. A year ago, when our community and rugby family lost the Amazing Kate Amato to childhood cancer, Ashley decided she needed to step up and help more families affected by this heart wrenching diagnosis to keep Kate’s legacy alive. Mrs. Hellett reached out to an organization called V for Victory, where they help people and their families battling cancer while the families get to focus on their children. V for Victory was started by one of the owners of V’s Pizza after his son was diagnosed with cancer. “Strength, prayer, and family. These words are defined by the Ellison family. The Ellison family have 7 wonderful children, Salah Hope age 9, Kadesh Levi age 8, Hadassah Ruth age 6, Judah Zamar Age 4, Anotole’ Joy 3, Le’ona Lea 1, and Shiloah Noel who is a newborn. Kadesh is described as a smart, athletic, kind, loving, and respectful boy. On January 4, 2017, his life changed forever. It was his mother’s birthday and she heard the words that every parent dreads from their pediatrician: “Your son Kadesh has been diagnosed with cancer. He has AML-M4.” This type of cancer affects the bone marrow and the blood. With the strength that this family has in the Lord, they prepared to fight this monster head on. Since January, he has had 4 rounds of Chemo and a Bone Marrow Transplant from one of his sisters. Unfortunately, his body rejected the bone marrow transplant. As a part of Ashley’s rugby family, we want to help her achieve her goal to provide Kadesh and his family with a better Christmas this year. On December 16th, the Jacksonville Rugby teams will have a 50/50 raffle, with a donation going to Kadesh. If you would like to join in on the fun and fundraising, please come to Culhane’s Irish pub, starting at 7pm. The raffle will be drawn at 8:30 pm. If you would like to make a donation to the Ellison family or to the raffle, please send us a message on Facebook or email us at melissa@jaxwomensrugby.com. The Ellison’s also have a Go Fund Me page set up for Kadesh! The Jacksonville Women’s Rugby Team welcomes their newest sponsor: Forever Vets Animal Hospital. Recently, the team came together in such an astounding effort when a 5 month old puppy came in to Forever Vets Animal Hospital in very serious condition. The puppy, now named “Sinner,” showed signs of lethargy, not eating, and vomiting. It was soon discovered that Sinner contracted the Parvovirus- a highly contagious and deadly virus. The original owners could not afford the treatment and opted to euthanize him. In a matter of hours, the Women’s Rugby Team pulled together the funds and then some to pay for his treatment. The team was determined to give this puppy a chance at life and continually checked on him to monitor his progress. The teamwork between both the rugby team and Forever Vets Animal Hospital showed their compassion for animals as well as their ability to unify and work quickly to resolve a stressful situation. Since then, Sinner has made a full recovery and has found a great home with members of the rugby team. Because of the incredible partnership they demonstrated, Forever Vets Animal Hospital made the decision to sponsor the Jacksonville Women’s Rugby Team. Here’s to a great relationship for many years to come! Looking for a traditional Irish dining experience? Then this is your place! 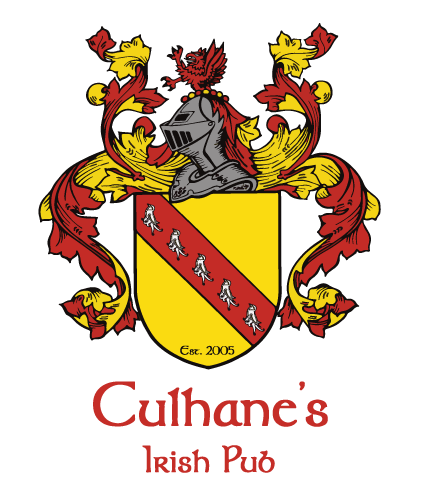 Culhane’s Irish Pub is owned by four sisters who were born and raised in the county of Limerick, Ireland. This establishment was opened in 2005 and is located in Atlantic Beach. Upon entering their pub, you will be greeted with smiles, great drinks, and an aroma of Irish cooking. Culhane’s has caught the eye of more than just the locals; the star of Diner, Drive Ins and Dives, Guy Fieri, stopped in and proved to the world just how amazing this place is! If that does not convince you to bring your family and friends to this incredible place, then we do not know what will. On behalf of the Jacksonville Rugby Clubs, we want to extend a heart-felt thank you for your commitment to sponsoring our teams. We cannot think of a better place to make memories we may, or may not, remember. 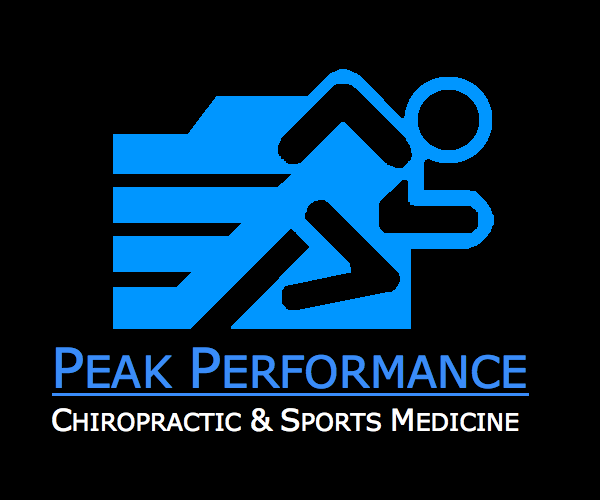 As we continue to grow, please know the partnerships with our sponsors are vital to the success of our rugby clubs. You are truly appreciated. Thanks, again. The Jacksonville Sinners were after a well-played game Saturday against our longtime rival, the Orlando Griffins. Despite coming up short, 29-39, we were pleased with our overall performance as a team. What made the game was the second half; we came alive as a team, came back hungry for the win, and executed several stellar plays that left a mark in our opponent’s minds. Out of the many girls who play for the Sinners, four of them dominated the game earning the titles Forwards and Backs of the March. The forwards were none other than Stacey and Lindsay. Both girls, not only owned the rucks, but ran the field as well! The backs were Sam and Aisha who were worked together to create holes in the defensive line; Good luck catching them on a breakaway! Well-done ladies! We will be back on the pitch March 11-12 for the St. Patrick’s Day Tournament in Savannah. See you there! couldn’t make it to the game last week? Watch the entire thing Click Here!!! Sinners Travel To Mobile, AL Remaining Undefeated in Friendly Season! What a great weekend full of rugby! The Sinners traveled to Mobile, AL this past weekend taking on the Spring Hill College/Battleship and NOLA/Langniape. The Sinners first game was a solid win of 43-0 against Spring Hill College and Battleship combined. With solid communication and ball handling the Sinners were able to make some fantastic plays happen! The second game of the day was another win of 22-7 against NOLA and Langniape! Strong defense played a big role in this game. The Sinners had to work hard to advance their way down the field. But with good communication and teamwork they were able to walk away with the second win of the day. There were celebratory sprinkles after both games and of course a few drinks with some great ruggers! The Sinners have their next game October 22, in Jacksonville, FL. Time and place will be announced soon!